◆ Corner arc treatment, anti-scratch anti-collision, high-quality metal connections, so that more stable folding chairs, bamboo materials, smooth and delicate bamboo surface. 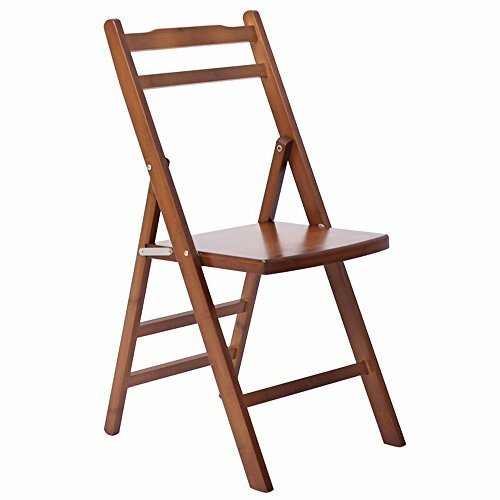 ◆ Folding chair back file design, more comfortable and comfortable, suitable for any home decoration style. ◆ Convenient quick folding design will not take up too much space after folding, moving more convenient, the bottom of the product design rounded, effective non-slip, while protecting the steel pipe and the floor, more intimate to protect you and your family's safety. ◆ Products include only folding chairs, does not contain other products on the picture, the specific products to receive the main kind.